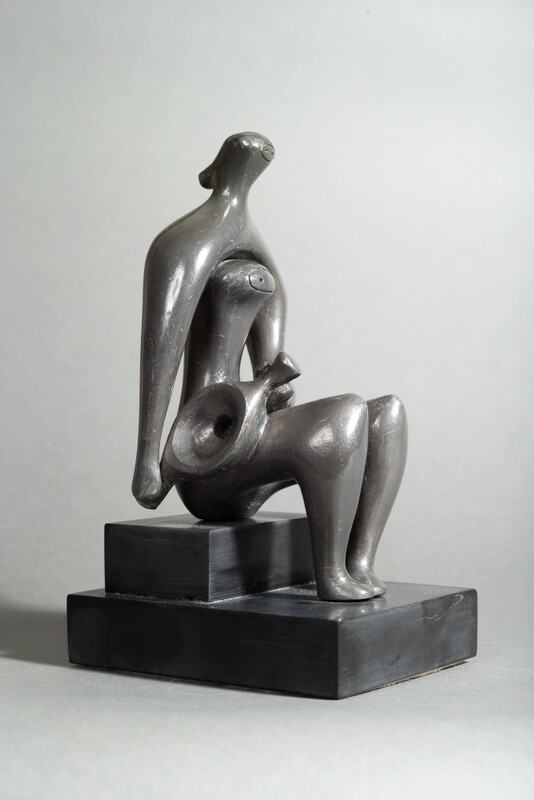 The Sculpture of Reg Butler, Margaret Garlake (Henry Moore Foundation / Lund Humphries 2006), pl. 9, cat. no. 260, pp 23, 171. 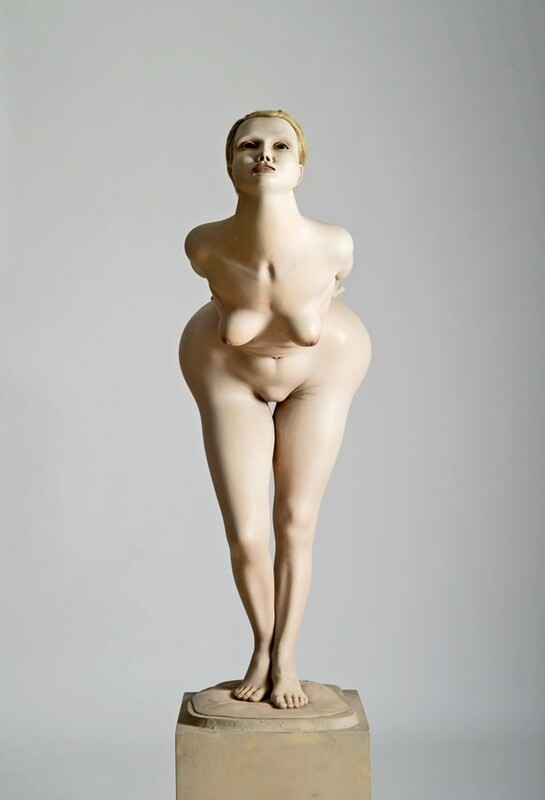 The Sculpture of Reg Butler, Margaret Garlake (Henry Moore Foundation / Lund Humphries 2006), fig. 40, cat. no. 258, pp 48, 170. Charlotte Parry-Crooke (ed.) & Norbert Lynton (intro. ), Contemporary British Artists - with Photographs by Walia, Bergstrom + Boyle Books Limited, London, 1979, p. 233, illus. John B. Putnam Jnr Memorial Collection, Princeton University, 1970. 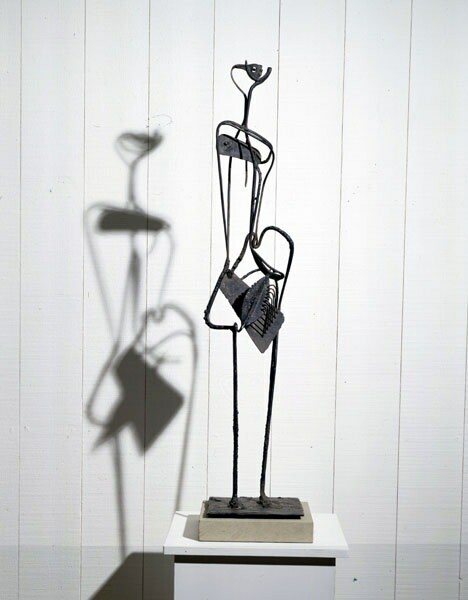 - New York, Pierre Matisse, Reg Butler: RecentSculpture: 1959-1962, October - November 1962, no. 26, another cast exhibited. - London, County Council, Battersea Park, Open-Air Exhibition of Contemporary British and American Works, May - September1963, no. 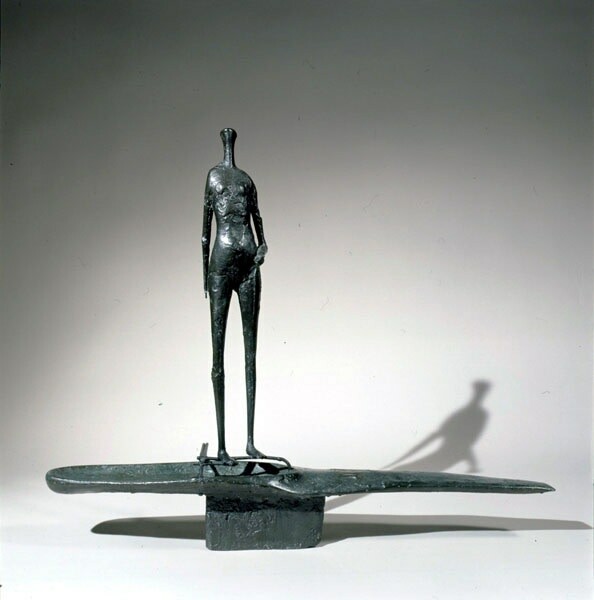 7, another cast exhibited.- London, Hanover Gallery, Reg Butler: Sculpture and Drawings, July - September1963, no. 3, another cast exhibited.- Louisville, Kentucky, J.B. Speed Museum, Reg Butler: A Retrospective Exhibition, October - December 1963, no. 94, another cast exhibited. - Birmingham, Arts Council of Great Britain,Cannon Hill Park, Contemporary British sculpture: an open-air exhibition arranged by the Arts Council of Great Britain, April- May 1964, no. 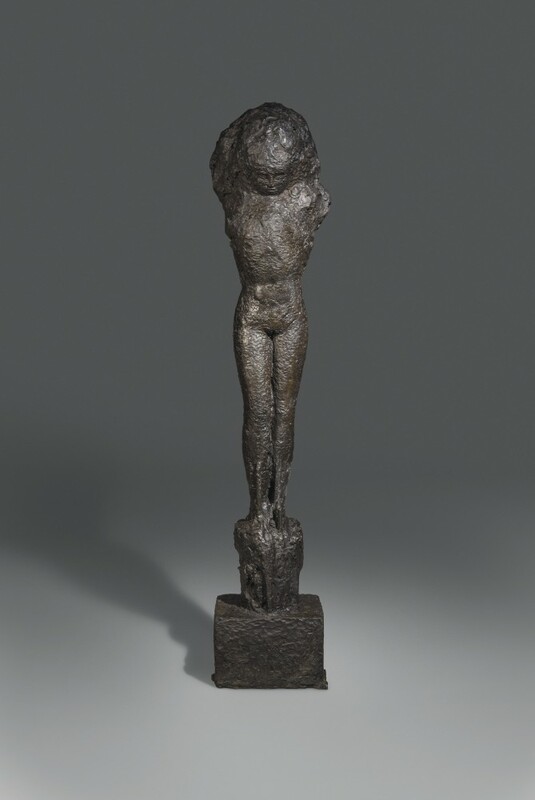 4, another cast exhibited:this exhibition traveled to Accrington, Haworth Art Gallery, May - June 1964; Wollaston, Wollaston Hall, June - July 1964; Cheltenham, Imperial Gardens, July 1964; Middlesbrough, Albert Park, July - August 1964; and Bradford, Lister Park, August -September 1964.- Caracas, Galería Frietas, Reg Butler, March - April 1992, catalogue not traced.-Caracas, Galería Frietas, Postwar EnglishSculpture, August - September 2006, no. 12. 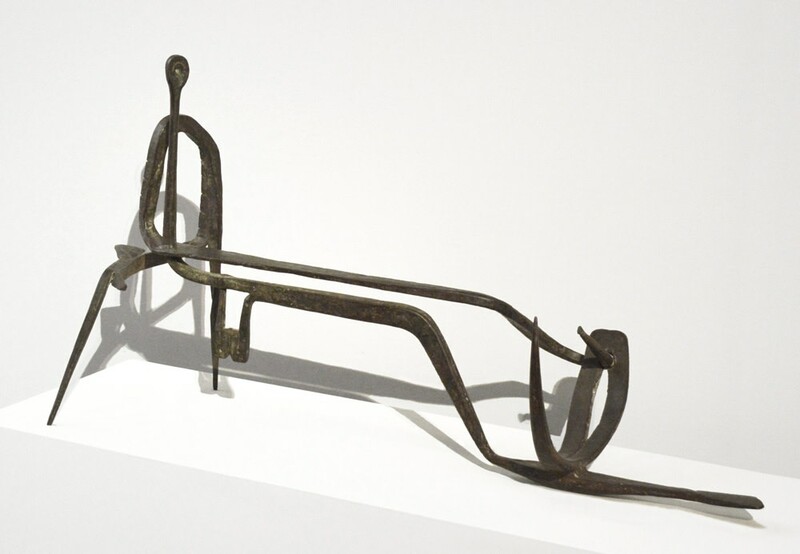 Exhibition catalogue, Reg Butler: RecentSculpture: 1959-1962, New York, PierreMatisse, 1962, n.p., no. 26, another castillustrated.Exhibition catalogue, Open-Air Exhibition ofContemporary British and American Works,London, County Council, Battersea Park,1963, n.p., no. 7, another cast illustrated. Exhibition catalogue, Reg Butler: Sculptureand Drawings, London, Hanover Gallery,1963, n.p., no. 3, another cast illustrated.Exhibition catalogue, Reg Butler: ARetrospective Exhibition, Louiseville,Kentucky, J.B. Speed Museum, 1963, n.p.,no. 94, another cast illustrated.P. 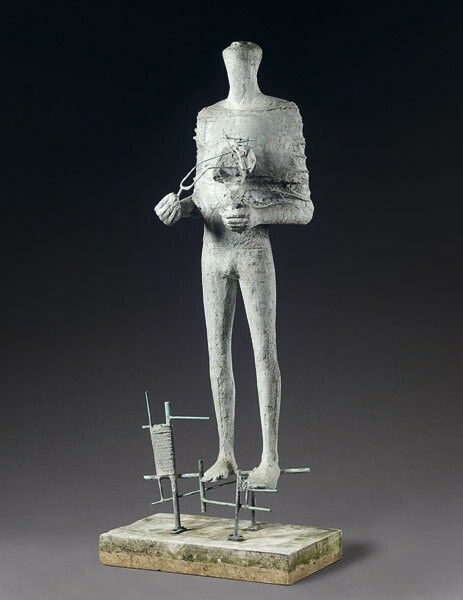 Kelleher, Living with Modern Sculpture:The John B. Putnam Jnr. Memorial Collection,Princeton University, 1982, pp. 36, 38-39, no. 1.R. Calvocoressi, exhibition catalogue, RegButler, London, Tate Gallery, 1983, p. 28,another cast illustrated.Exhibition catalogue, Reg Butler, Caracas,Galería Frietas, 1992, p. 20, fg. 8.Exhibition catalogue, Postwar EnglishSculpture, Caracas, Galería Frietas, 2006,p. 25, no. 12, illustrated.M. Garlake, The Sculpture of Reg Butler,Much Hadham, 2006, pp. 83, 159, no. 211,fg. 73, another cast illustrated. Curt Valentin Gallery, New York, Reg Butler, 1955, no.42, illus. Albright-Knox Art Gallery, Buffalo, 1964, no. 10, illus.